Brown's Field Farm is run by US-born photojournalist Everett Kennedy Brown and his wife Deco Nakajima. 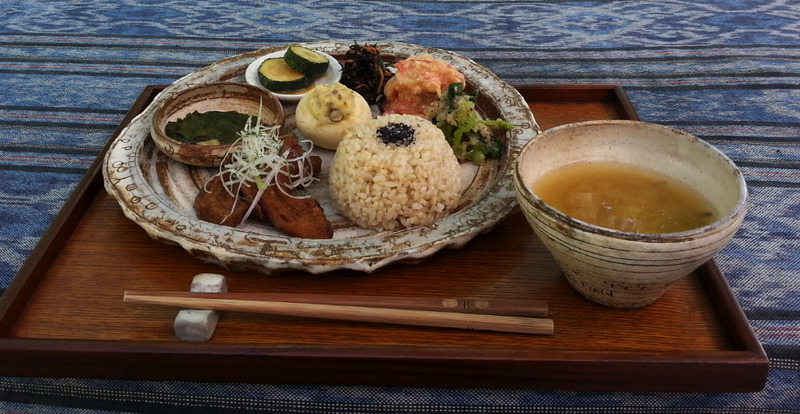 At their Rice Terrace Café they serve up wholesome Japanese food prepared following the theory of macrobiotics. 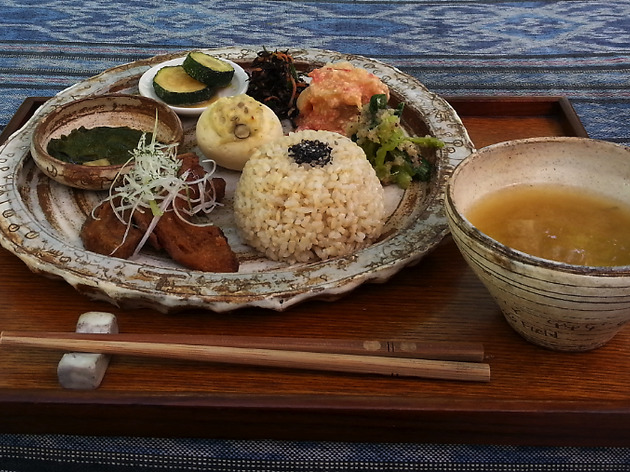 Choose from an all-vegan menu with a focus on fermentation including homemade miso, soy sauce, umeboshi (dried salt plums), amazake (fermented rice) and pickled vegetables. The farm's own unpolished organic rice is worth the visit alone. If you want to stay overnight, they offer cottage accommodation from ¥7,000 per person per night. Contact: 1501-1 Kuwada, Misakicho, Isumi-shi, Chiba. 0470 87 4501. brownsfield-jp.com/cafe. Fri, Sat, Sun & hols 11am-5pm (last orders 4.30pm). From Tokyo Station, take the Sobu rapid train to Chiba Station, then change to the Sotobo line to Chojamachi Station. 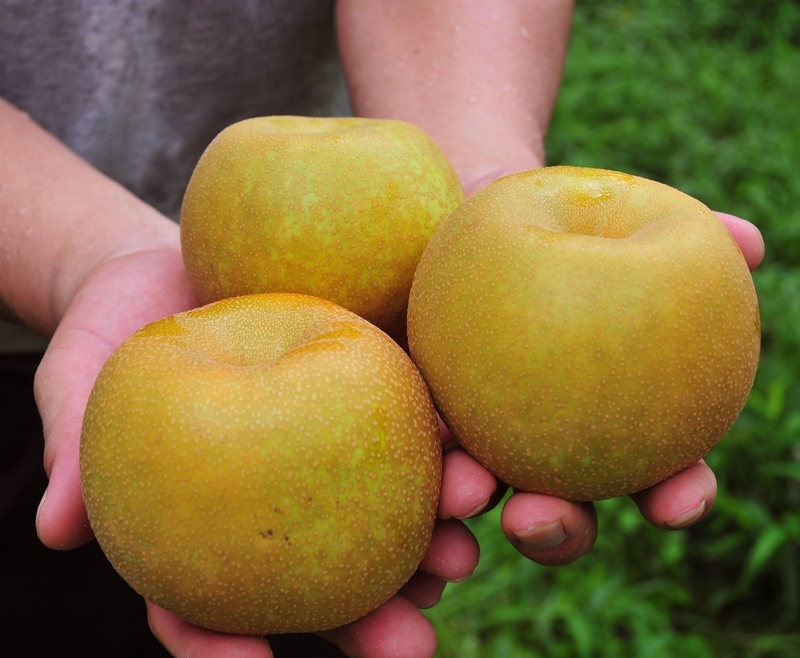 Chiba Prefecture has many fruit farms and is the number-one producer of the Japanese pear, called nashi. Enjoy the fruits of the season by picking your own at Ogawa Farm. 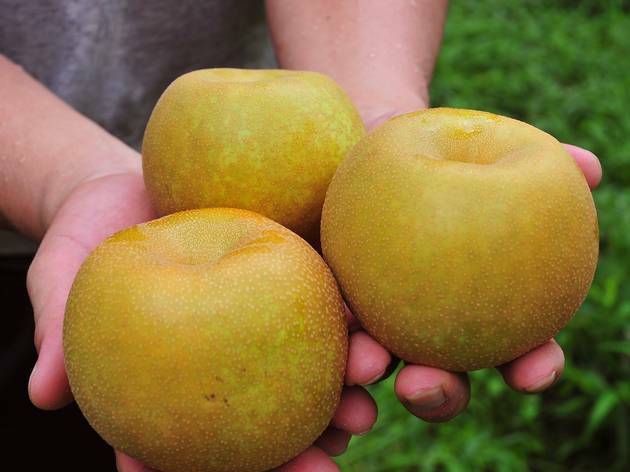 Actually not pear-shaped at all, a nashi is spherical with rough yellow skin and crisp white flesh. Contact: 4-4-3 Kunugiyama, Kamagaya-shi, Chiba. kamagayasikankounougyoukumiai.info. 047 385 5071. 9am-5pm (Aug 25 to mid-Oct). ¥1,000, children aged 3 to 5 ¥600. From Tokyo Station, take the Joban line to Matsudo Station, then take the Shin-Keisei line to Kunugiyama Station, five minutes' walk. 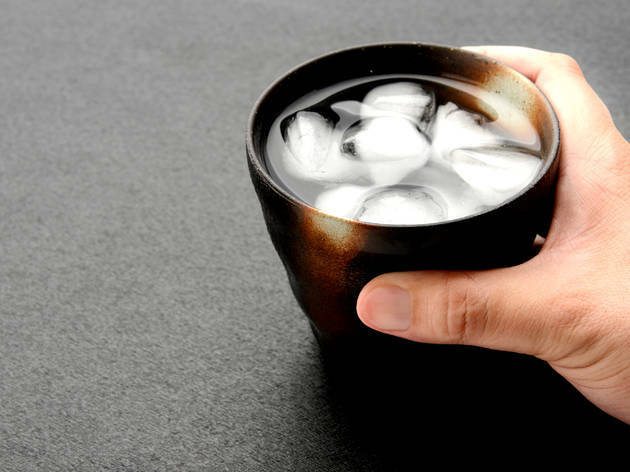 The household name in soy sauce, Kikkoman has been brewing the fermented condiment in Chiba since the 17th century. 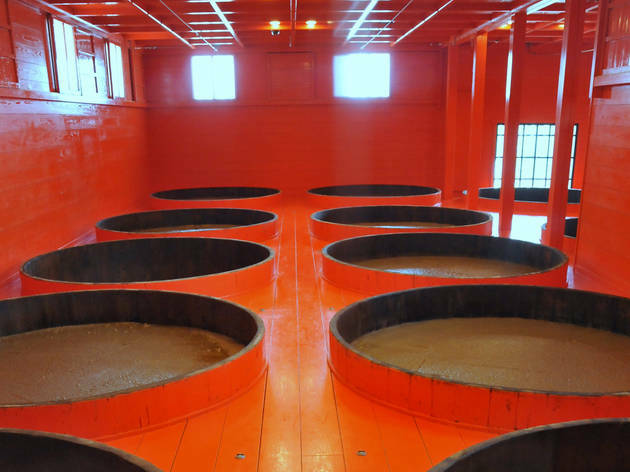 A visit to the Soy Sauce Museum will certainly open your nose to the soy sauce brewing process and you can learn about the maturing moromi mash, as well as experience different tastes and colours. Contact: 110 Noda, Noda-shi, Chiba. 04 7123 5136. kikkoman.com/en/shokuiku/factory.html. 9am-3pm, closed 4th Mon of the month & hols. Free entry. From Akihabara Station, take the Tsukuba Express to Nagareyama-Otaka-No-Mori, then take the Tobu Noda line to Nodashi Station, three minutes' walk. 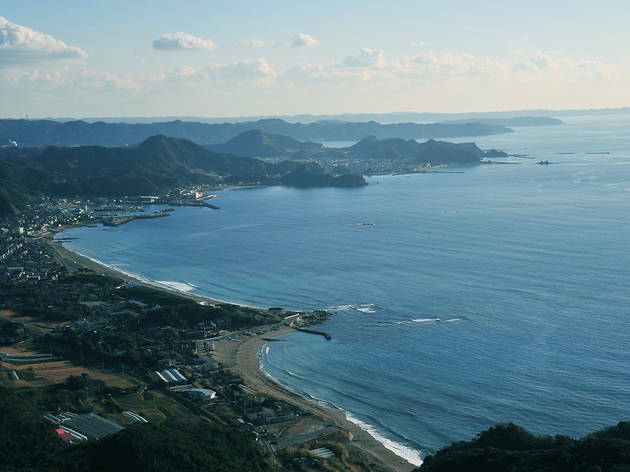 The sandy white(ish) beach of Onjuku on the south east coast of Chiba is the perfect day trip from Tokyo to escape the heat and hit the surf. In approximately two hours by train, you can be wetsuited up and attempting to catch your first wave. If the waves are not rolling in then opt for paddle boarding instead. 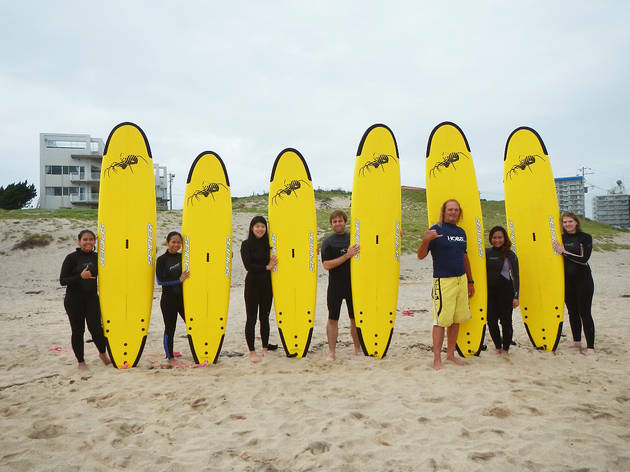 Flying Sumo offers surfing and stand-up paddle board lessons in English, surfboard and wetsuit rental and surfboard storage/lockers. They even have accommodation if you’re too surfed out to get the train back. Lessons for groups of two or more cost ¥6,000 per person. Surfboard rental from ¥3,500, wetsuits ¥1,500. Contact: 2140-2 Hama, Onjukumachi, Isumi-gun, Chiba. 0470 60 3011 or 090 3143 4462. flyingsumo.jp. From Tokyo Station, take the Wakashio express train to Onjuku Station, five minutes' walk. 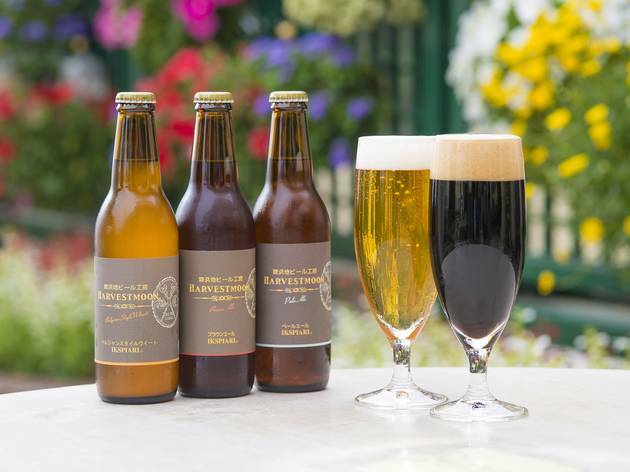 Drop the kids off at Disneyland and relax with some choice ales at Harvestmoon Brewery – just a 16-minute train ride from Tokyo Station! 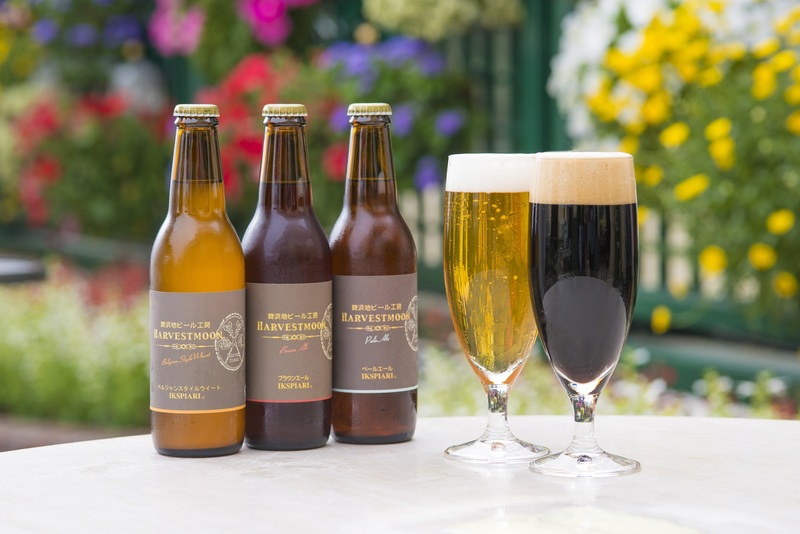 With multiple awards under its belt, Harvestmoon is a craft brewery offering five styles of beer: Pilsner, Schwarz, Pale Ale, Brown Ale and Belgian-style Wheat. They always have a limited-edition seasonal beer on tap which is definitely worth a try. If you ask nicely, you might be able to sneak a peek at the immaculate brewery with female brewmaster Tomoko Sonoda. Or check the website for scheduled tours and tastings. Contact: Located inside Roti’s House restaurant in the Ikspiari shopping centre at Tokyo Disney Resort. 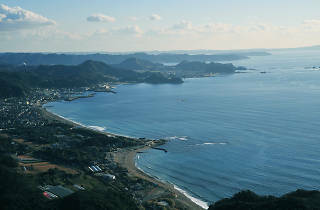 1-4 Maihama, Urayasu-shi, Chiba. 047 305 5652. ikspiari.com/harvestmoon/. From Tokyo Station, take the Musashino line to Maihama Station. Used as a stone quarry in the Edo period (1603-1868), Nokogiri Yama (which literally translates as Sawteeth Mountain) gets its name thanks to its jagged profile. 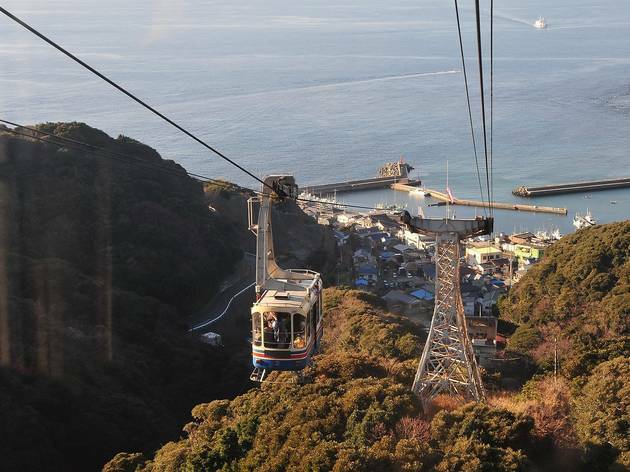 The cable car takes you up to the 223m-high mountain peak from where you'll enjoy spectacular views over Tokyo Bay. On a clear day you might be lucky enough to spot Mt Fuji. There's also a restaurant and observation deck. If you’re feeling energetic you can do the one-and-a-half hour hike between the station at the top and Nihonji temple, which boasts a 31m-high stone-carved Buddha (that's more than twice as high as Kamakura’s famous Daibutsu). Contact: Nokogiri Yama Ropeway, 4052-1 Kanaya Futtsu-shi, Chiba. 0439 69 2314. mt-nokogiri.co.jp/pc/p130000.php. 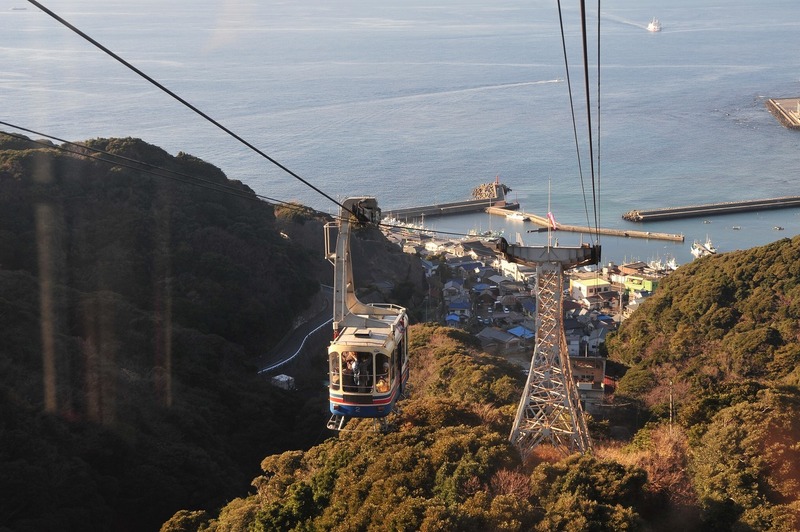 Round trip ¥930, children aged 6 to 11 ¥450. From Tokyo Station, take the Sazanami special express train to Hamakanaya Station. Kozaki is a small town located in the northeastern part of Chiba. What’s special about this little nook is that it has exceptionally high quality groundwater, which leads to the production of superior rice, which then translates to excellent sake. So much so that the annual Kozaki Sakagura Matsuri (Kozaki Sake Brewery Festival) attracts more than 30,000 visitors each year. One of the more interesting breweries in the area is Terada Honke. 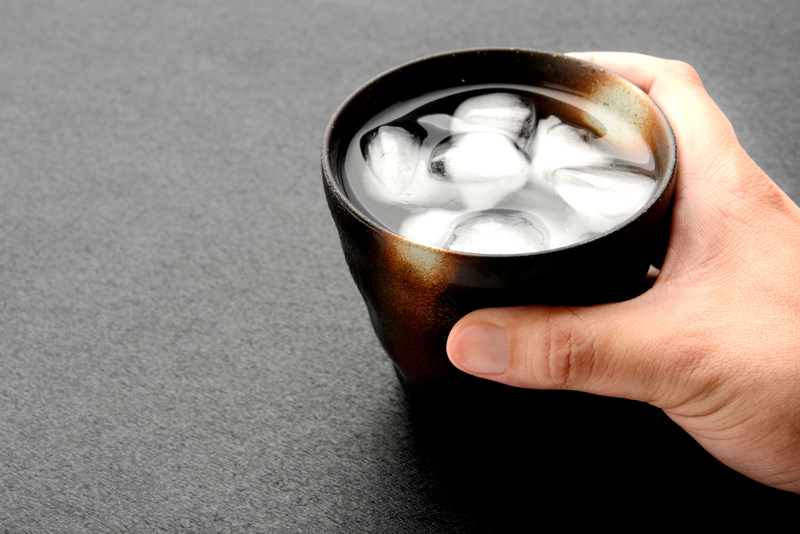 Using their own organically grown rice, Terada Honke has been brewing sake for more than 330 years. 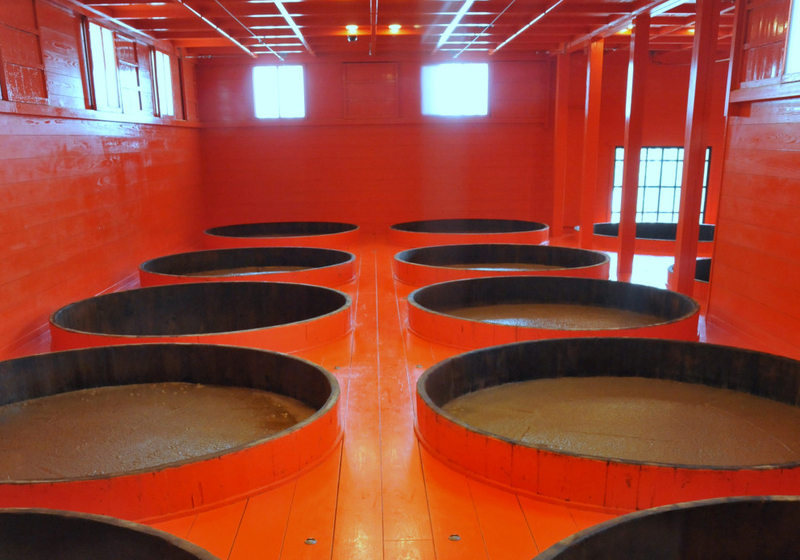 The sake is made according to the ancient Kimoto method, which relies on natural micro-organisms inhabiting the air to ferment the rice. The best time to visit is during the Kozaki Sakagura Matsuri, held every March. Several breweries in the area open their doors and the sake is free flowing. Contact: 1964 Kozakihonshuku, Kozaki-machi, Katori-gun, Chiba. 0478 72 2221. teradahonke.co.jp/english.htm. Take the Sobu line to Sakura (Chiba) Station, then change to the Narita line (Sakura-Choshi) to Shimousa-Kozaki Station, 20 minutes' walk. 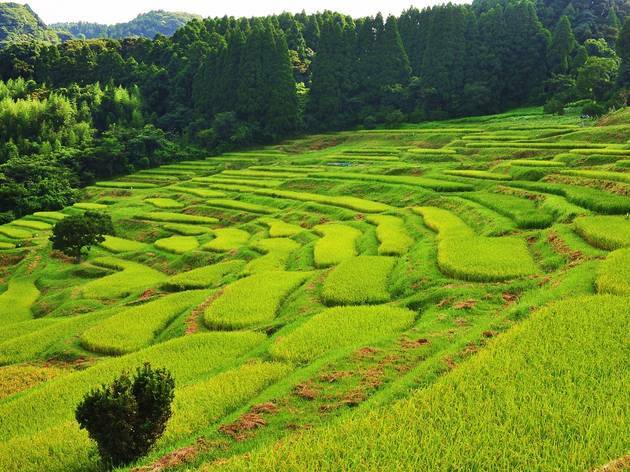 Oyama Senmaida are the only rice fields in Japan that are grown with only rainwater, and are known for their beautifully curved ridges. 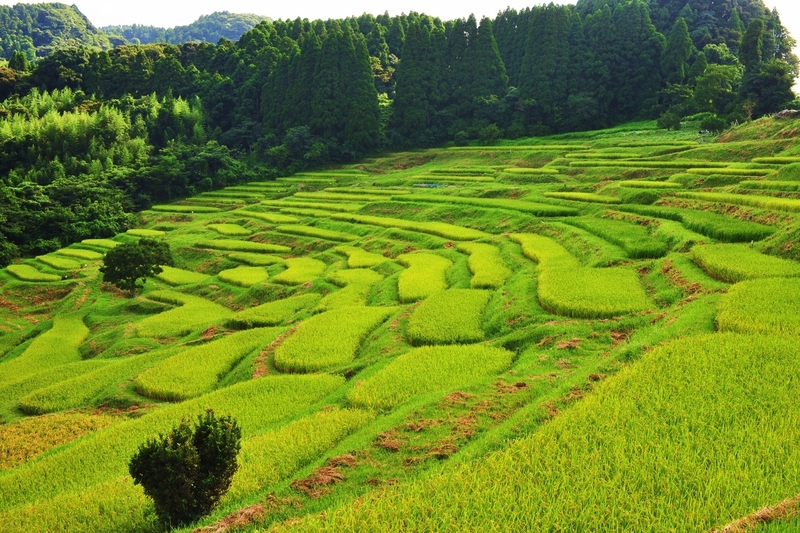 These patchwork-like paddies really are a sight to behold and represent the traditions of Japanese farming. To watch the sun set over 375 terraced fields, which form a kind of amphitheatre on the hillside of Kamogawa, is truly spectacular. The fields are also lit up after dark from mid-October through early January every year. Contact: 540 Hiratsuka, Kamogawa-shi, Chiba. 04 7093 3800. Tourism info here. From Tokyo Station, take the Wakashio express train to Awa-Kamogawa Station. Then catch a bus bound for Hiratsuka Hongo Iki or Tokyowan Ferry Iki and get off at Kamanuma Bus Stop (about 30 minutes), then walk for about 20 minutes. If you haven’t worked it out already, baseball is a pretty big deal in Japan. Going to watch a stadium game is a must-do activity. 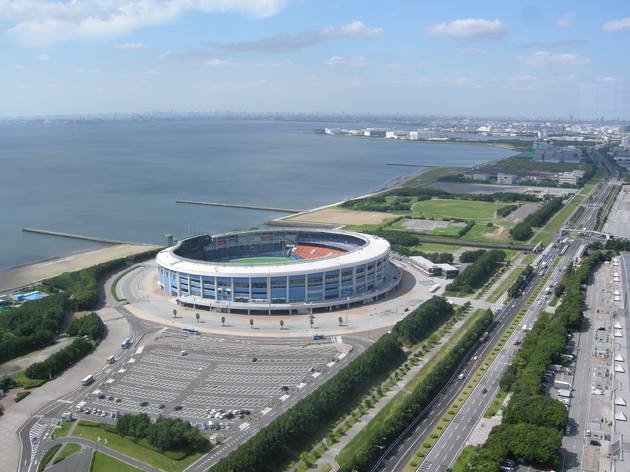 Chiba Marine Stadium on the eastern shore of Tokyo Bay is home to the Chiba Lotte Marines. Check the schedule and go along to the game – make sure you support your new team with some oversized paraphernalia and enjoy the beer, yakitori and a rare glimpse of Japanese supporters being rowdy. The stadium is also famous for its big-name music concerts: the likes of Madonna and Lady Gaga have performed sold-out shows here, and the Chiba leg of Summer Sonic music festival is held here every August. Contact: 1 Mihama, Mihama-ku, Chiba-shi, Chiba. marines.co.jp/stadium. From Tokyo Station, take the Keiyo or Wakashio line to Kaihin-Makuhari Station, 15 minutes' walk. Flower viewing is almost a sport in Japan. People will travel all over the country to catch a glimpse – and take several hundred photos – of the perfect bloom. From the white plum blossom in February, to the famous sakura (cherry blossom) in spring, to the tulips and wisteria in May, the colours keep on coming. Irises, hydrangeas and sunflowers are in full burst in June, followed by lavender in July. And as autumn approaches, chrysanthemums (considered a symbol of the Emperor and the Imperial family) come out to play before the season's colours blanket the landscape. 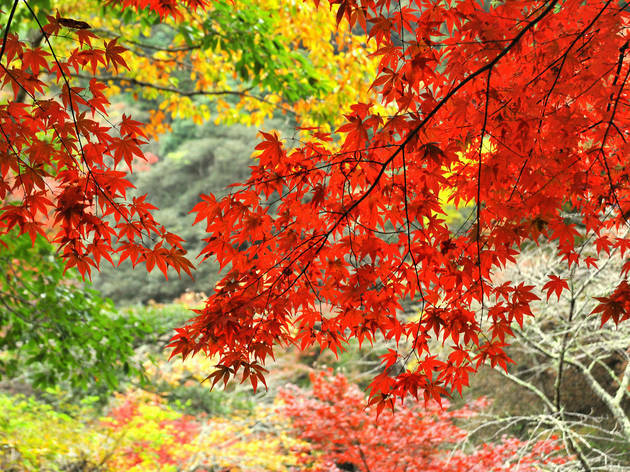 Hondoji Temple in Matsudo is a particularly beautiful spot to watch the changing seasons. Its garden is said to feature around 5,000 irises and over 10,000 individual hydrangea plants. 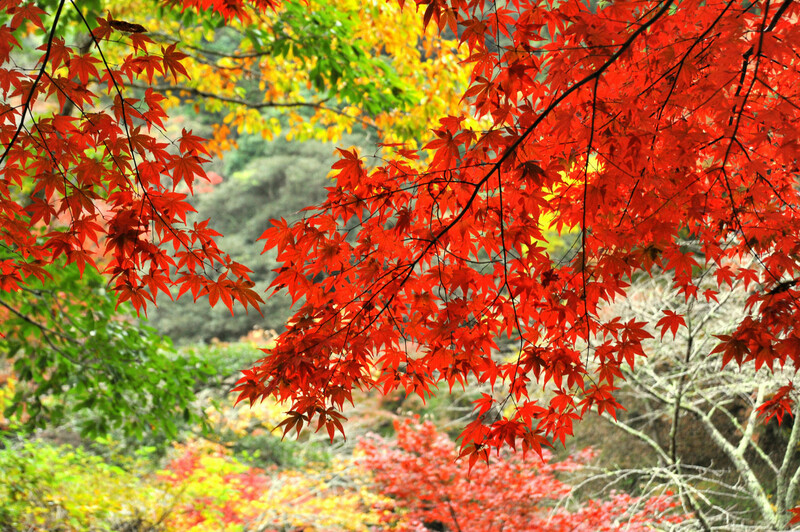 But the bright red foliage of the trees in autumn is our favourite. Contact: Hondo-ji Temple, 63 Hiraga, Matsudo-shi, Chiba. 047 346 2121. hondoji.net/. 8am-5pm. From Tokyo Station, take the Joban line to Kita-Kogane Station, 10 minutes' walk.